Here you can wine and dine in old classrooms of a great old school built in 1961, not long after the erection of The Berlin Wall. 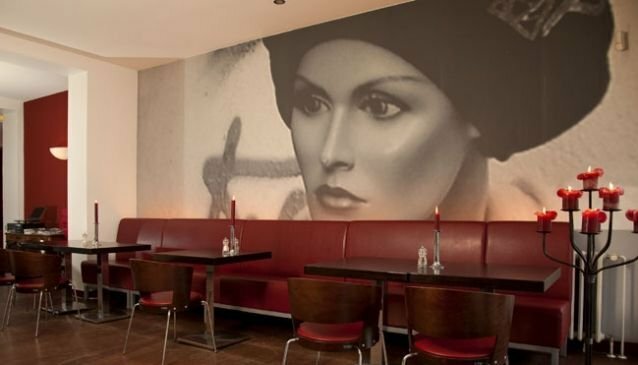 Die Schule serves modern German cuisine, this means you'll still find the traditional German dishes available but perhaps with a little twist to compliment your dinning experience. With prices at around €10 for a main, unless you order the steak or schnitzel, and only €2.50 per tapas bowl, you wont be stretching your wallet too far and you're still experiencing traditional fair in an old German school house, cool hu? Yes, that's right, German tapas, a great way to order many different German meals and taste a whole range of dishes. The menu has a special every day and each special has a vegetarian option for the non-meat eaters travelling out there.